Amherst (Mass.) 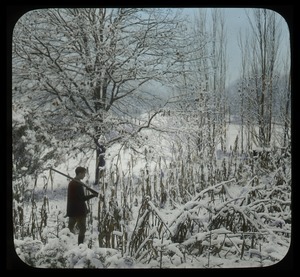 - Hand-colored image of hunting in Waugh's garden under heavy snow. Amherst (Mass.) 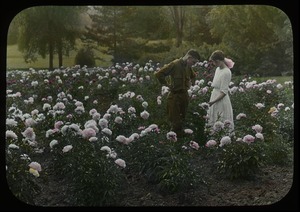 - Hand-colored image of young man in army uniform and woman, standing in the garden; photo probably taken in Amherst. 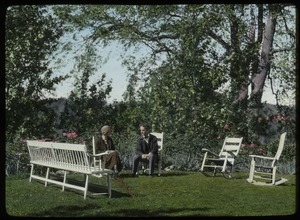 Hand-colored image of group seated in a rustic arbor, surrounded by garden. 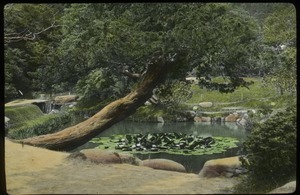 Japan - Hand-colored image of tree leaning over pond with lily pads. Amherst (Mass.) 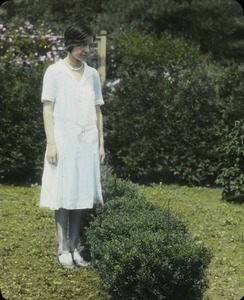 - Hand-colored image of young woman standing next to a small box barberry hedge; probably taken in a garden in Amherst or nearby. 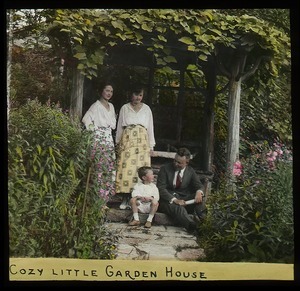 Hand-colored image of family(?) 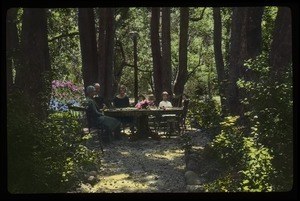 seated around a table set in a garden. 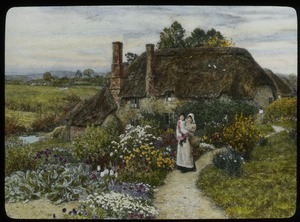 Crewkerne (England) - Hand-colored image of painting of woman and infant standing in garden ijn front of thatched-roof cottage. Amherst (Mass.) 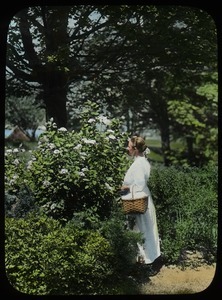 - Hand-colored image of young woman; photo probably taken in garden near Amherst. Amherst (Mass.) 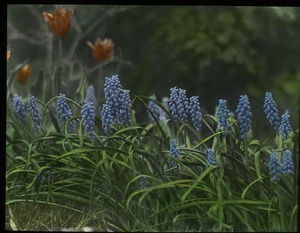 - Hand-colored image of grape hyacinth in foreground and tulips behind, probably planted in Frank Waugh's garden in Amherst.